Exchanging rings as a token of love and commitment is an age-old practice. Beyond the other accoutrements of the wedding, the rings will be one of the few lasting symbols of your commitment and a sign of love and permanence. The wedding ring is probably the smallest, but most significant, item and its choice deserves some careful consideration. Whether you believe in the proverbs and legends regarding the history of the wedding ring, marriage is the one ceremony that unites nearly all religions and cultures on this earth. It is the giving and exchanging os a piece of symbolic jewellery that is, of course, central to this ceremony. It is said that the circular shape of the wedding ring symbolises eternal love, and has done since the days of the Egyptian Empire. It seems rather ironic then that the first wedding rings were fashioned from hemp or rushes and would have required eternal replacement! In Roman times, iron or pewter were used as their properties for constancy and endurance were seen to be more appropriate. Currently platinum and gold are the favoured metals due to their lasting beauty, purity and value - traits we all identify in our partners! When choosing your wedding band there are a number of factors which should be considered. Firstly you should focus on the engagement band. It's probably stone-set, but what type of ring is it? Does it have one, two or more stones? Are the stones set in claws or does the ring have a rub-over setting? Is it gold or platinum? Perhaps it's a combination of the two metals? Is the piece of a traditional design, or does the ring have a more contemporary "feel"? Your engagement ring will influence your choice of wedding band. The wedding band should complement the engagement ring as they will usually, if not always, be worn together. You must also consider the shape of your hand and the length and size of your fingers - the width and weight of the wedding ring must be sympathetic to these proportions. Consider also the practicality of the piece. Unlike other jewellery the wedding band will always be worn. It should be a practical design that can withstand the rigours of modern life. Finally, the piece must be timeless - the design should last a life-time and should not date. Most brides that come to The Ring Workshop are looking for something a little different, a unique piece designed and executed to an exacting specification. We specialise in handmade wedding rings and have considerable experience in turning an idea into a practical and workable design. Wedding rings were traditionally fashioned in 22ct gold and adopted the familiar, and comfortable, "court" profile. Fortunately, couples today have a much greater choice of materials, profiles, widths and finishes. In fact, our range of traditional wedding rings is available in 18 metals, 64 profiles, 21 widths and 7 surface finishes. Plain rings are still very popular, the timeless elegance and conservative appeal of a traditional band is irresistible to many. However, contrary to popular opinion, there’s nothing “plain” about plain wedding rings. Plain bands are available in numerous profiles, many widths and can be finished to various specifications and metals. However unusual your engagement ring our bespoke fitting service will be able to complement it perfectly. At The Ring Workshop we specialise in handmade wedding rings to fit all shapes and sizes of engagement ring. However unusual your engagement ring our "bespoke fitting service" will be able to fashion a wedding ring to match it perfectly. 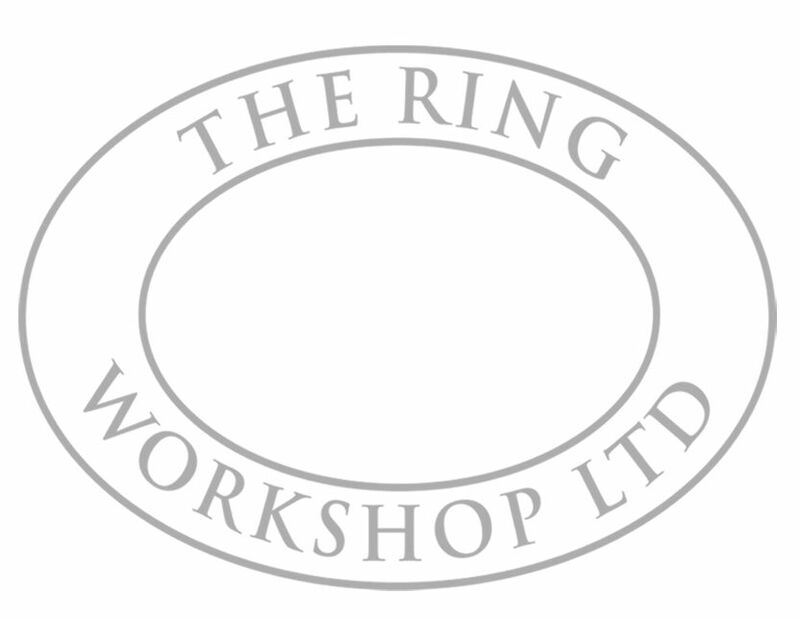 The Ring Workshop Ltd, Incorporated and registered in England and Wales. Registered Office: 4 Smithfield St, Oswestry, Shropshire, SY11 2EG.